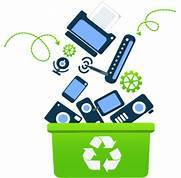 Recycle Electronics February (was going to be on the 12th now rescheduled to 19th due to snow) 10:00 am – 3:00 pm in the open lot next to the Mullis Fire Station. Acceptable items include: Desktops, Laptops, Tablets, Monitors, Printers, Televisions (LCD OR CRD), DVD Players and DVR’s, Computer cables. Items must be checked through attendants. NO UNATTENDED DROP OFFS. More info: 1PC.com (360) 815 2200 and for in town pickup of greater than 5 systems.